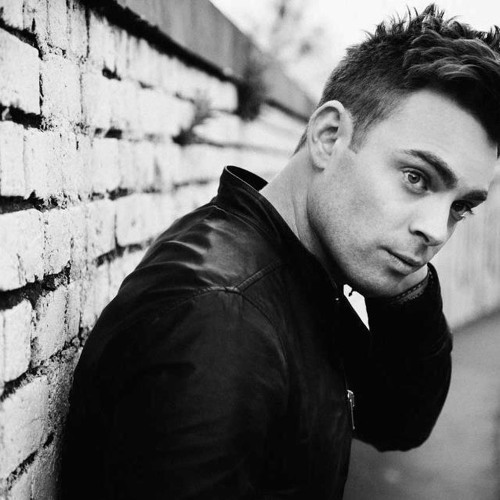 Turn on the Radio and you will never be far away from hearing Ben Montague. He is undoubtedly one of the most talented singer song writer’s in the UK at present and since he burst onto the scene in late 2010 with his debut single “Can’t Hold Me Down” he has rarely left the airwaves and he will be seen supporting the ex Westlife global superstar Shane Filan on his much awaited ‘You and Me Tour’ which kicks off in Liverpool on 20th February 2014. Playlisted for 5 weeks “Can‘t Hold Me Down” was an incredible achievement for a first release; and his follow-up second single “Haunted” went even further, beating off the label backed competition to make the coveted BBC Radio 2 Record of The Week slot; and all of this without commercial backing. His first full length album “Overcome” received high praise from radio stations up and down the Country and “Broken” his third single from the album, which similarly topped the Radio 2 - A List for 6 weeks, went further than these shores by going on to be the winners single in the Singapore version of the global “Idol” phenomenon. On the back of this commercial success Ben embarked on a series of Headline and Support tours including The Lighthouse Family, Stereophonics, The Wanted and Lawson. “Tales Of Flying And Falling” Ben's second studio album was released in early 2013 and its achievements started where Overcome had left off and made the much sough-after BBC Radio 2 “Album of The Week”, which Ben followed up with as a guest on the hugely popular Tracks of My Years with Ken Bruce. ￼ Following the release of “Tales Of Flying And Falling” Ben hit the road for a headline tour, festival appearances including Isle of Wight and Cornbury and added further to his resume by supporting the super talented Amy Mcdonald on her sell out UK tour. A self-proclaimed workaholic who has a deep love of music, Ben has been busy penning his next release, and since teaming up with the incredible Pledge Music and his ever growing fan base (reaching his pledge target with in a staggering 30 days), Ben is now ready to release his 3rd selection of new material in a brand new EP called - The Truth EP. Teaming up with hit song producer Dan Gautreau (Alicia Keys, Ben Howard, Loveable Rouges) Ben and Dan have created an incredible selection of new material and his next single release ‘The Truth’ – will be out March 2014. Most recently Ben was announced as the principal support for the much awaited Shane Filan ‘You and Me Tour’ which kicks off in Liverpool on 20th Feb 2014.